I start by cleaning out the food processor and every part that the clay could touch, and let it drip dry. The last thing you want is to add fluff and dust to your clay, so make sure it it perfectly clean. 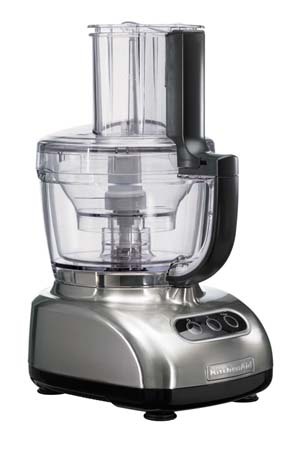 Place both types of clay into the food processor and chop it up. You will most likely find that the clay turns into lots of little balls of clay, depending on the type of blade you use. And the biggest tip – dont stop! Don’t go off halfway to check your email, answer the phone, settle a child, or anything. Every time you leave your task, be it mixing clay or sculpting, you risk bringing back fluff and dust with you – so dont stop! Now that you have your site nice and clean you can start kneading the clay. This is best done by rolling bits into long sausages, then fold them over and twist together, then roll back into sausages. Keep doing this until the clay is a perfectly consistency with no streaks. 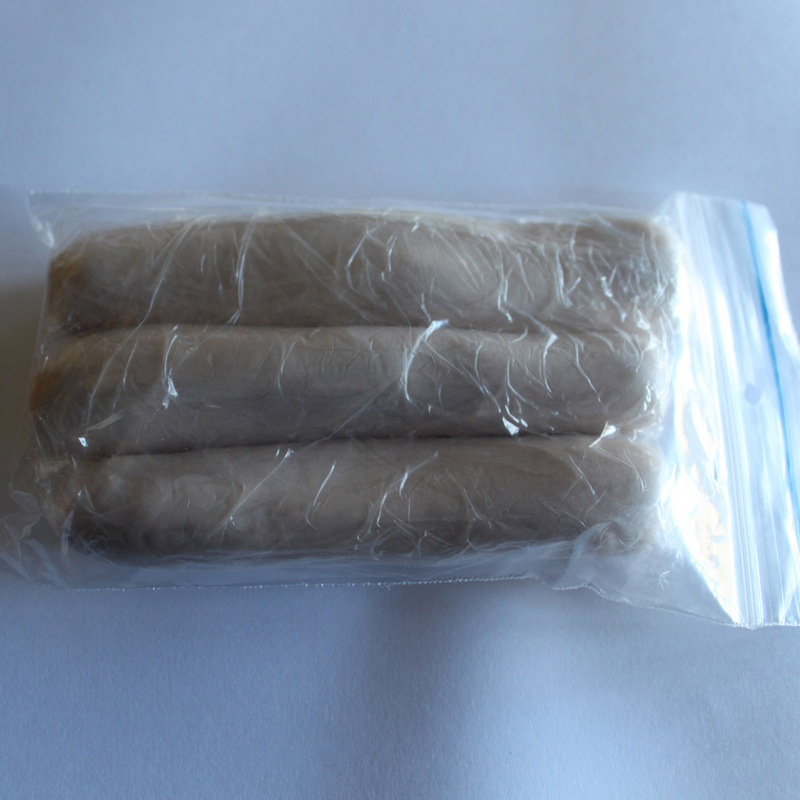 When you have made your nice clean sausages of clay they can be packed away for future use. 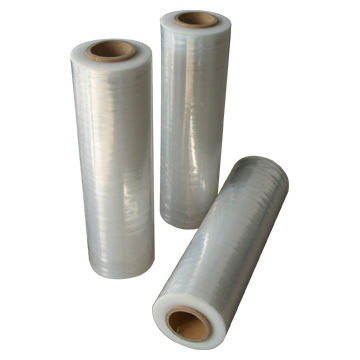 I have made up three, which I then wrap in cling-wrap and place in a plastic zip-lock bag for safe, clean, keeping. As you can see I have only the one photo of this process. And that is due to the 5th tip above – dont stop! If I stopped to take pictures of the process I would have ended up with dirty clay. But hopefully the instructions are good enough to follow without the aid of pictures.